Samsung has just announced their new curved smartwatch, the Samsung Gear S.
Just as news broke that Apple was planning to debut their new wearable, Samsung has announced that they are releasing a new and updated smartwatch. 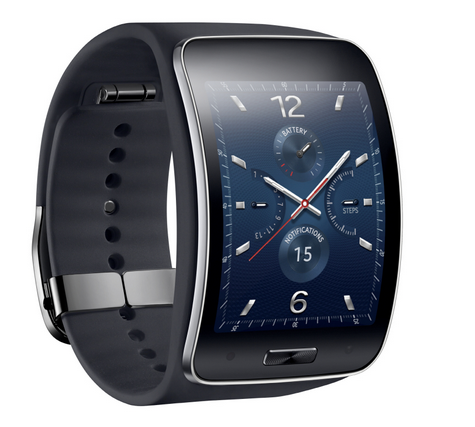 The new Gear S will feature a curved, Super AMOLED display that is 2 inches and has 360 x 480 pixels. It will also come with built in Wi-Fi capabilities and cellular 3D, meaning that it can connect without the use of a smartphone. The new model will also see the return of a number of features from the original Gear 2 model including the style, wristband and the operating system. Like the Gear 2, the Gear S will run on Tizen, Samsung’s own operating system that is independent from Google’s Android. It has been stated however, that Samsung is looking to also release an Android compatible smartwatch in the near future. The new Gear S is expected to go on sale by October 2014, meaning that it will probably compete directly with Apple’s new wearable.